Contracts can produce an incredible amount of data. 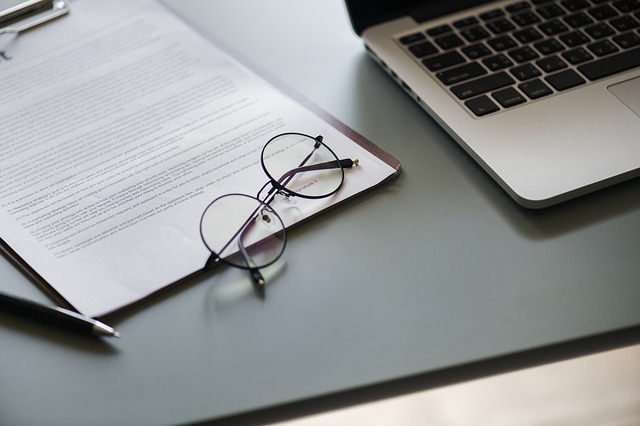 From confidentiality agreements to requests for proposals to execution agreements, the amount of contract data available to those who work with contracts can feel overwhelming at times. Take for example, the issue of scope creep. In a Contract Logix survey of 550 contract management professionals at manufacturing companies, 61.95% cited lack of visibility into scope of contracts as the most pressing issue. It isn’t that the scope of the contract isn’t available, it’s that the contract manager has a difficult time bringing up that information in a timely manner. Just think of how many times you switch back and forth between emails, phone calls, and in-person meetings. Most of that constantly shifting attention is due the rushing stream of information that’s coming through at an increasingly rapid pace. Faced with this dilemma, it’s extremely difficult to stay focused on what really matters. This is why CLM software is necessary to visualize contract lifecycles, stay focused on the next action items, and act proactively to client needs. The challenge for contract managers is to learn how to manage, process, and analyze this influx of contract data—to find the relevant data for their clients and business amid all the clutter. You want to cast a “big net” to catch as much information as possible. But the net can’t be too fine. You need to be able to filter out the no-value catch from the big fish. In your job as a contract manager, you have to focus on gathering as much information as possible and then breaking it down into useful “bite-size” pieces so your team (and often members of other departments, such as legal, accounting, and accounts receivable) can make use of it. If you can do a better job than your competitors of staying on top on key contract data, including contract renewal dates, best efforts clauses, and localization clauses, and the contract processes you have in place to filter that information do their job, you’ll win the business. Going back to the survey of 550 individuals in the manufacturing industry responsible for creating, editing, or managing contracts who report that they are “Somewhat Challenged”, “Challenged”, or “Significantly Challenged” in contract management processes, 63.84% of those individuals reported an inability to extract key data from contracts. This is an expected roadblock when using email, spreadsheets, or paper-based systems to handle contracts. Transmission of information isn’t automated and requires somebody to manually pull key data, increasing the risk of errors. None of those surveyed were using CLM software at the time and used the usual alternatives, including email (79.64%), spreadsheets (68.73%), and paper (62.18%). Contract managers—no matter how established and set in their ways they are—can’t afford not to react to the explosion in information. Sticking your head in the sand and ignoring the wealth of info will create a disaster business-wise. You will lose out to contract managers who are skilled at working amid all the noise—who know how to gather and filter information to better serve their clients. It’s a new and constantly evolving world with regards to contract data access, and it takes a new mindset to adapt. CLM software helps create and foster that type of mindset. To find more about how your peers at manufacturing companies handle contract management, download the full report “Contract Management at Manufacturing Companies: Roles, Tools, Challenges, & Obstacles”.